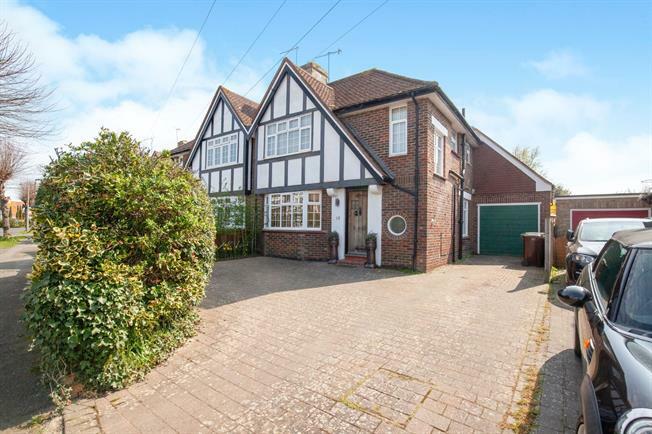 4 Bedroom Semi Detached House For Sale in Bexhill-on-Sea for Asking Price £450,000. Open house Saturday 27th between 1pm and 2:30pm. If you are looking for a fabulous family home , full of character and with a garden to die for, then look no further. This property is very adaptable with 2 reception rooms with a lovely size lounge to sit back in and relax after a long day and a separate dining room for those more formal occasions. The kitchen has plenty of workspace and room for a breakfast bar. Upstairs on the first floor are 3 good size bedrooms and the family bathroom and on the 2nd floor is the 4th bedroom. Outside to the front is plenty of room for a least one car and access to the garage. To the rear is the fabulous garden set out with a lawn area and secluded and private patio area that's just perfect for entertaining.